But it doesn’t have to be that way. Today, Gmail is getting a brand new inbox on desktop and mobile that puts you back in control using simple, easy organization. 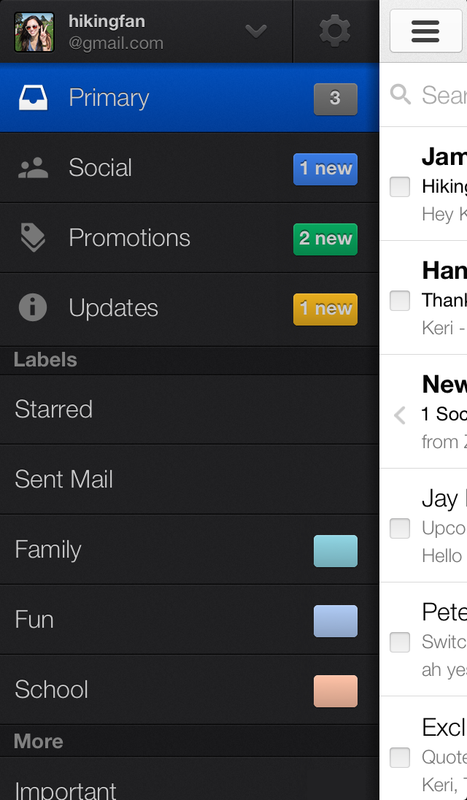 On the desktop, the new inbox groups your mail into categories which appear as different tabs. You simply choose which categories you want and voilà! Your inbox is organized in a way that lets you see what’s new at a glance and decide which emails you want to read when. You can easily customize the new inbox - select the tabs you want from all five to none, drag-and-drop to move messages between tabs, set certain senders to always appear in a particular tab and star messages so that they also appear in the Primary tab. 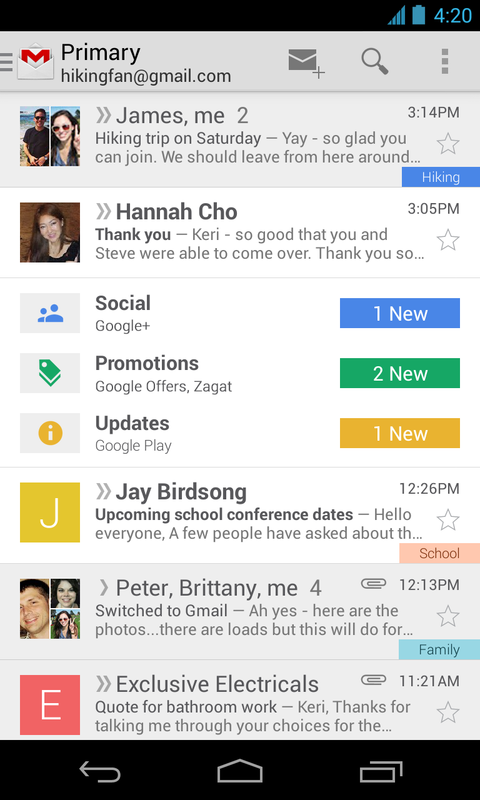 In the Gmail for Android 4.0+ and Gmail for iPhone and iPad apps, you'll see your Primary mail when you open the app and you can easily navigate to the other tabs. If the new inbox isn't quite your style, you can simply switch off all optional tabs to go back to classic view, or switch to any of your other favorite inbox types. The new inbox is rolling out gradually. The desktop, Android and iOS versions will become available within the next few weeks. If you'd like to try out the new inbox on Desktop sooner, keep an eye on the gear menu and select Configure inbox when it appears in the Settings options.